Fox News reports on three German intelligence reports that say Iran attempted to purchase illicit nuclear and ballistic missile technology no less than 32 times in 2016 — and that was just in the German state of North Rhine-Westphalia. The Germans say Iran’s behavior was even worse in 2015, the year before President Barack Obama’s nuclear deal went into effect, making 141 attempts to buy illicit goods. Most of the purchase attempts spotted in 2016 pertained to missile technology. “The intelligence report, which covered the year 2016 – the Iran deal was implemented on Jan. 16, 2016 – calls further into question Iran’s compliance with the agreement, formally known as the Joint Comprehensive Plan of Action, or JCPOA,” Fox News observes. Two other German states also accused Iran of illicit activities. The state of Hessen said Iran, along with Pakistan, North Korea, and Sudan, have been using “guest academics” in schemes to obtain nuclear, chemical, and biological weapons technology. “An example of this type of activity occurred in the sector of electronic technology in connection with the implementation of the enrichment of uranium,” said the Hessen report. 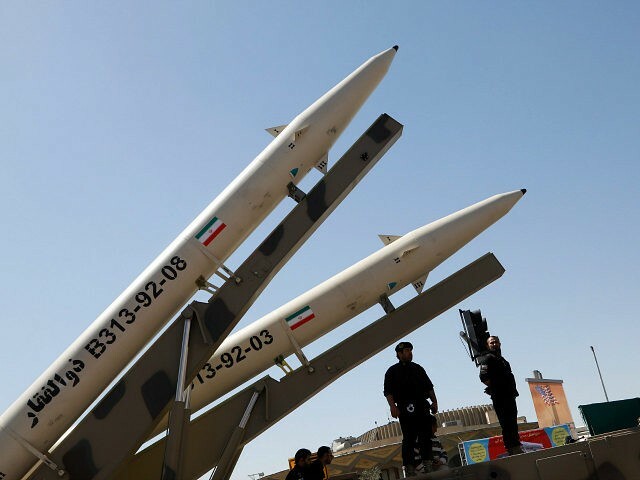 The third report, from Saxony-Anhalt, said work continues “unabated” on Iran’s missile program, with an eye toward developing weapons that can threaten Europe. Fox News is not clear about how it came into possession of these reports but suggests Germany, which officially supports keeping the nuclear deal in place, did not want the information to leak out. “We are worried, based on the signals coming out of the United States, that the president will tell lawmakers that the nuclear deal with Iran is not being fulfilled. This runs counter to the view of all the European countries that participated in the deal as well as the EU,” Gabriel added. As a point of order, President Trump is reportedly considering decertification of the nuclear deal on the grounds that it no longer serves America’s national interests, not so much on technical violations by Iran. “We have no indication of Iran violating its JCPOA commitments. Quite on the contrary, the recent 2016 Report of the Federal Office for the Protection of the Constitution states that there is no evidence of Iran violating the JCPOA,” German diplomats replied when Fox asked them about the intelligence reports. JCPOA stands for Joint Comprehensive Plan of Action, the formal name of the nuclear deal. “Having said that, we remain worried by Iran’s missile program. The aforementioned report, as well as reports from regional intelligence authorities, shows that Germany is highly vigilant in this regard and will continue to do so. However, this issue is outside the scope of the JCPOA and needs to be dealt with separately,” the diplomats added. The question of whether Iran’s missile research is covered by the JCPOA is one of the most hotly debated points between proponents and opponents of the deal. In essence, Iran and its advocates argue that the JCPOA demolished the U.N. Security Council resolutions forbidding research into long-range missiles that could carry nuclear warheads, reducing the U.N.’s legal position from an outright ban into “advice” that Iran should refrain from developing such weapons. Needless to say, this argument does not make critics of the JCPOA think more highly of it. The new documents obtained by Fox News are not the first time German intelligence voiced suspicions that Iran has continued “illegal proliferation-sensitive procurement activities,” as the German federal government put it in a July 2016 report.